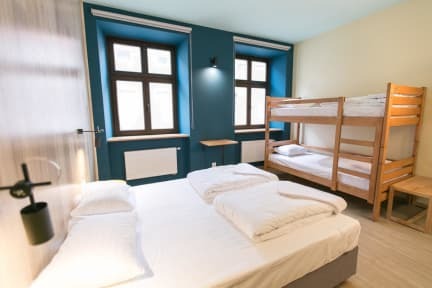 Excellent hostel!! Better than most 3 star hotels in West Europe. A great place to stay; with a very good location. The ladies at the reception were extremly friendly. Thank you for the good time! Just perfect: Staff, location, atmosphere. The only thing that I would criticize is, that you even had to take your keycard with you, when you went to the toilet at night. That's maybe a bit to much of security. Everything was clean. Rooms, bath,shower! This is very important for most. Rooms and beds als good and big enough, breakfast tasty! 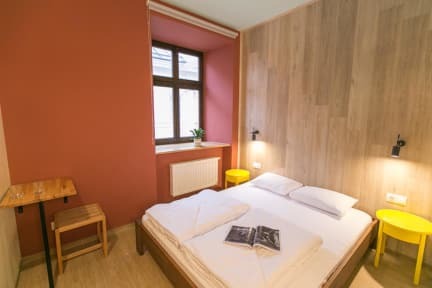 Noch nie so ein sauberes Hostel gesehen. Alles neu und top modern ausgestattet.